Your next career move - Join the Kellam Mechanical team! Kellam Mechanical is always looking for career minded individuals who are eager to provide excellent customer service, who are prideful of their work, goal oriented, enjoy learning and growing and who want to be a part of a successful team. 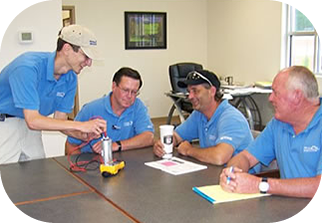 We are dedicated to continuing education and investing in our employees growth in order to keep up with the demand of the industry’s rapid technological advancements. Ready for a career in the HVAC industry? Click below to view the positions for which we are currently hiring.